This traditional royal blue card is made from a wave textured artboard and is framed by a traditional circle motif zari border. 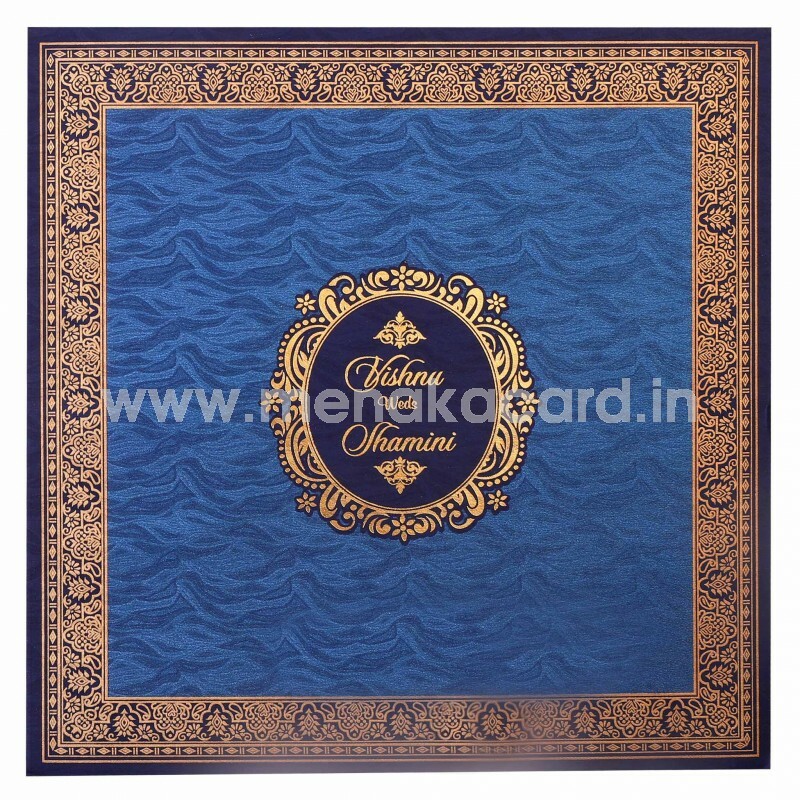 The center of the card has a beautiful rectangular frame with the same border housing the image of a contemporary Ganesha logo impressed into the card in gold foil on a maroon background. 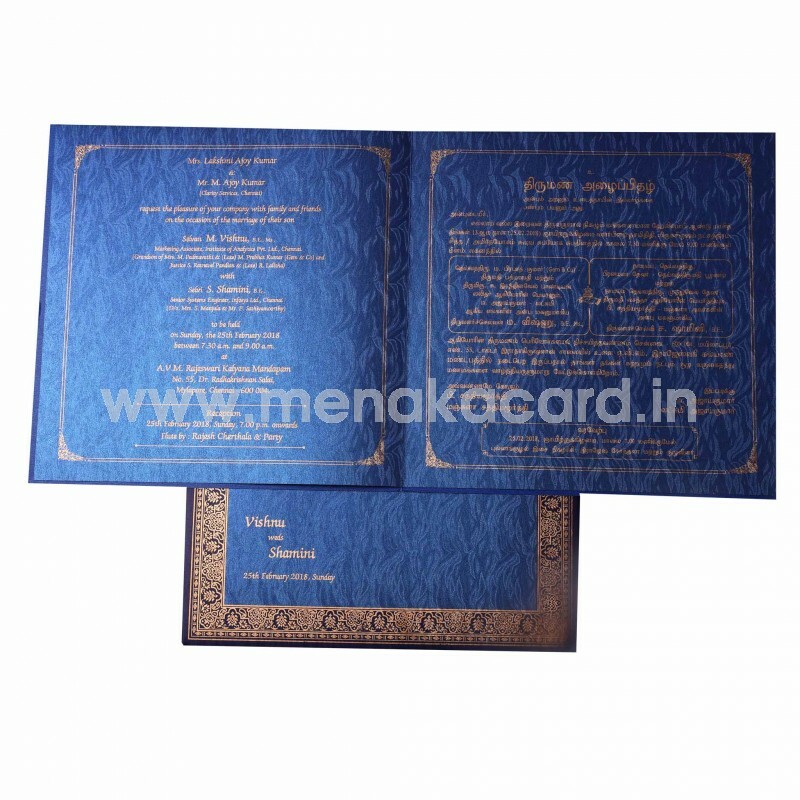 The insert sheets are also made of the same artboard material and are stuck to the center of this book folding card. 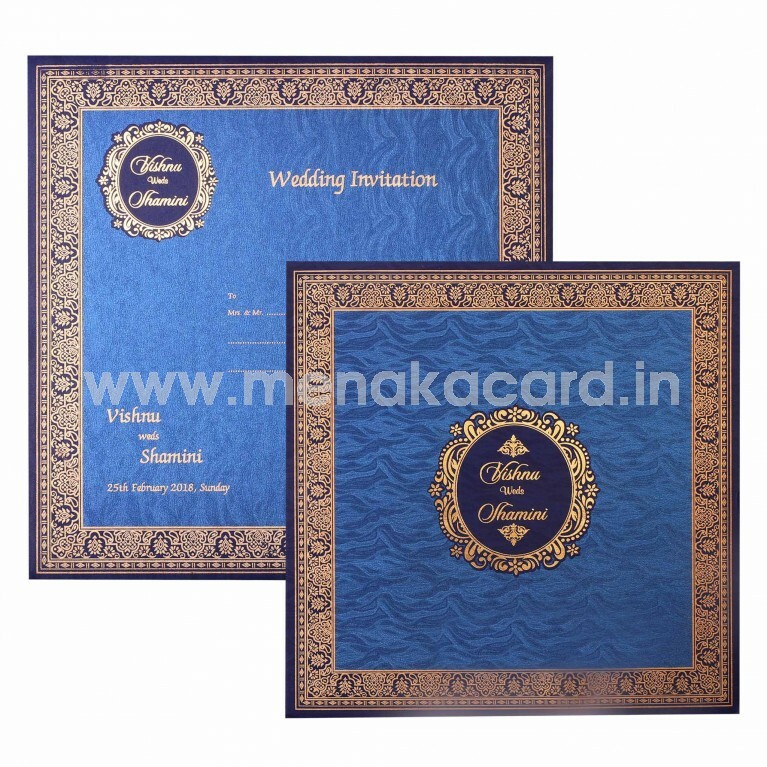 The content is printed in a luxurious gold ink and is framed on all sides by a delicate tradtional filigree border design. 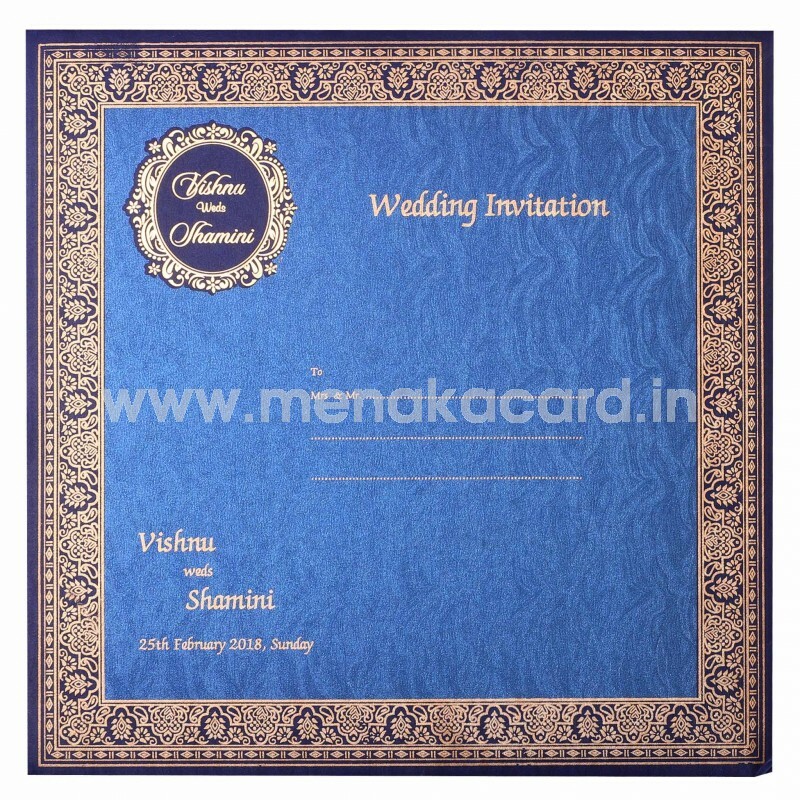 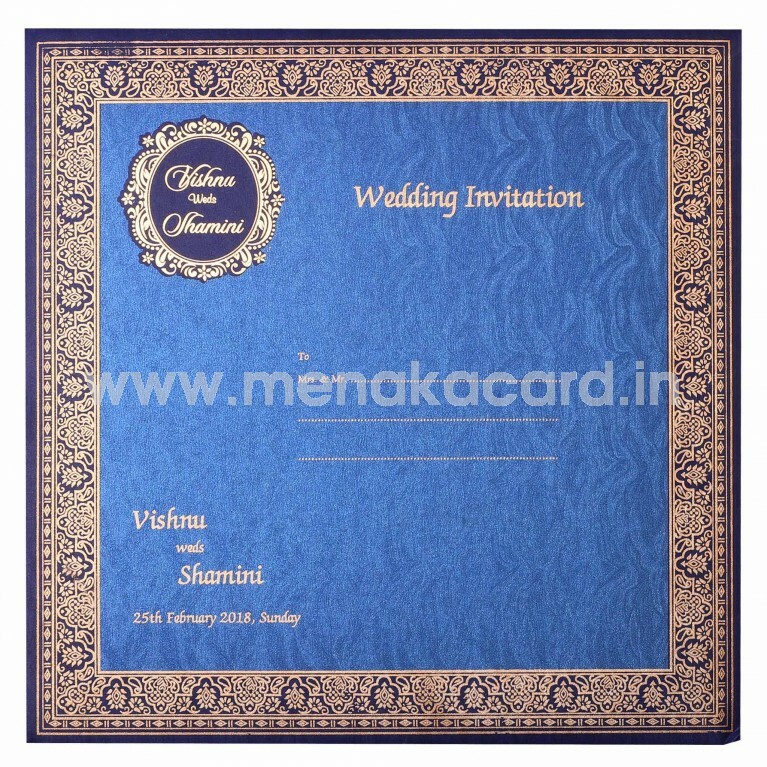 The envelope of this card matches the design of the card along with logos of the a bride and groom logo and bhaarat printed alongside the content. This can be used for Hindu weddings and other occasions such as engagements and grahapraveshams.